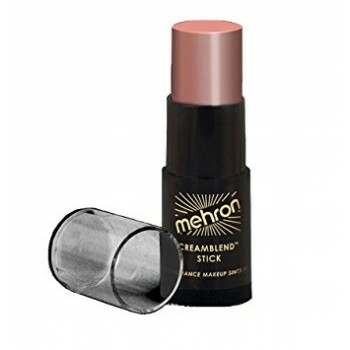 CreamBlend™ Stick Makeup is a highly pigmented, refined cream makeup in a convenient ultra-portable stick. Our full coverage creamy formula was developed to withstand the utmost in extreme performance conditions including Broadway’s hot stage lights. 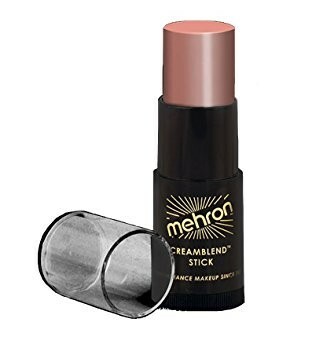 CreamBlend™ Stick contains vitamins and antioxidants and is formulated without the petrolatum base often found in traditional “greasepaint” makeup. CreamBlend™ Stick Makeup provides the ultimate in coverage and performance. Available in a 0.75oz (21g) container with twist dispenser. Mehron product code #400.